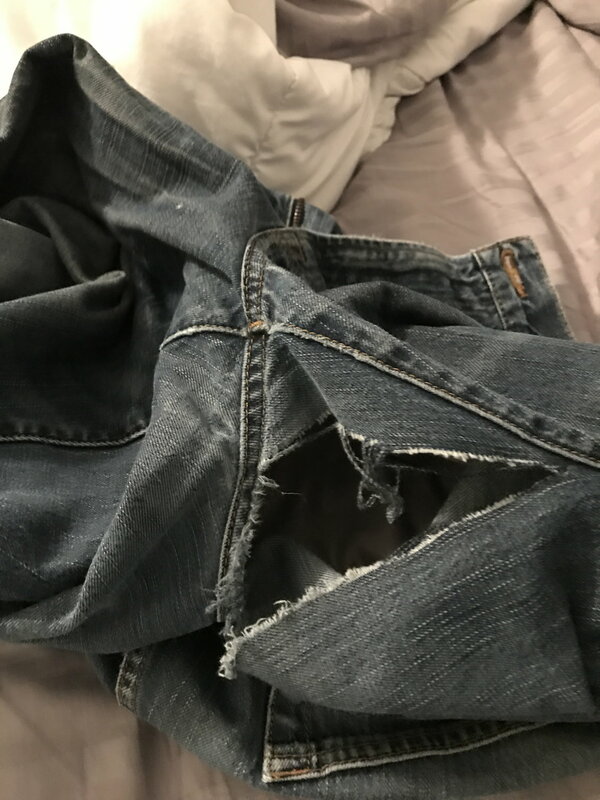 LMAO, ripped the damn crotch out of my pants jumping in the Jeep today! Another pair of garage pant I guess! 52 views and no comments? Wow! I guess it IS a family site. Just Daisy Duke em. youl be fine. Everyone likes chicken legs. i don't want to look like a bird with my chicken legs. One of your hunting dogs may get a hold of me. I did the same thing but it was before work and I ripped off a belt loop then on the way home it ripped the rest of the way down. I must live the good life. The only time I've ripped a pair of pants getting into or out of a car was with a POS MGB! I take that back. I tore a cuff on a rusty rocker panel once. Now that you mention it! (funny how you tend to forget things as the years go by) when I was in the Navy, we used to wear our keys on a dog leash snap attached to a belt loop. I can't remember how many belt loops I've torn that way. Usually as a passenger though. i stopped carrying keys on leash, at my old house I was able to lock the front door from the inside and then close it behind me as I left. One day I closed it behind me and felt and abrupt tug. My freakin dog leash got caught in the door! So my house keys were literally locked in the house, but still hanging off my belt technically.